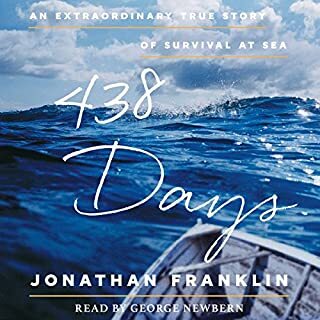 This is an amazing true story on a subject matter I like - survival stories are one of my favorite genres - but this selection fell short for me because it lacks in emotional value. I never felt invested in whether or not the main character survived - there was a lot of detail on how he made it through the ordeal but very little about what he was feeling. I wanted some kind of connection with his struggle but wasn't able to find it. The narration was good but a tad dry due to the lack of emotion or drama in the book. It's not bad; just not very good. After reading some of the reviews and the summary I thought I was in for a personal glimpse into human tragedy, courage, triumph, etc. in the face of a natural disaster. 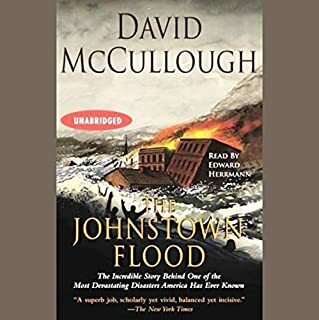 There was so much potential for this book to really transport the reader into the lives of those who perished or survived the deadly water that overtook Johnstown on that fateful day; but that isn't the case. 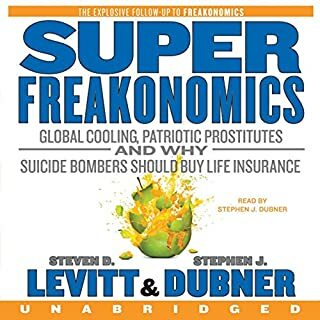 The book is rich with facts and interesting information about the event and days leading up to it, but the accounts of the survivors are delivered in a documentary fashion and it stops short of offering any human connection - no story within a story here - just straightforward and thorough testimony as remembered by various people. Not horrible - it's way better than anything you would find in a text book; but it was a bit dry. I don't know what I was thinking when I picked this one; I guess I thought I should give zombie-children another shot since I loved Raising Stony Mayhall so much. I tried to get through this but stopped about halfway through disappointed and went onto something else. I didn't totally hate it so instead of asking for a refund, I decided to relegate it to the bottom of my half-finished pile for now. 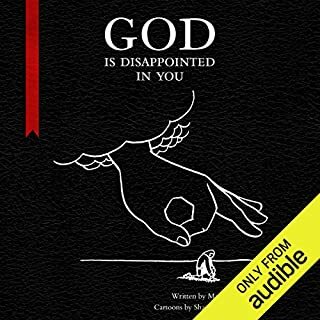 This incredibly well-produced and narrated audio version of a literary masterpiece is going into my top 10. 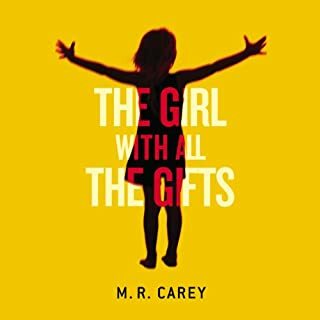 The story is gruesome and attention-grabbing but the real beauty is in the exploration of every person involved, as well as all of the events leading up to, and following the crime. 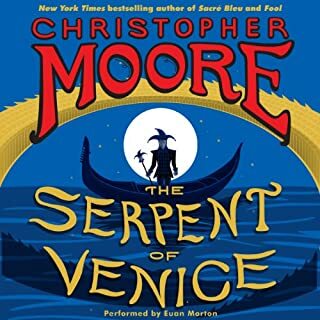 This one had me riveted enough to leave the TV off for just a little bit longer so I could finish listening to one more chapter - that is extremely rare for me. My opinion is 5 stars without a doubt. 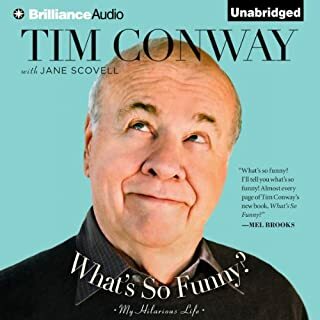 I always loved watching Tim Conway on the Carol Burnett Show and in all those Disney movies from my childhood. This book reveals that he is just as adorable in real life as he is on the screen. If you're looking for scandal or dirty secrets then you'll be disappointed - the man doesn't have any skeletons in his closet. Instead you'll find some entertaining stories and touching sentiments; I'm not big on heartwarming squishy stuff - but it couldn't be anything else considering the subject matter so I have to give it 4 stars. Wil Wheaton is fantastic as a narrator - his performance alone brings the overall score of this book up to 4 stars. 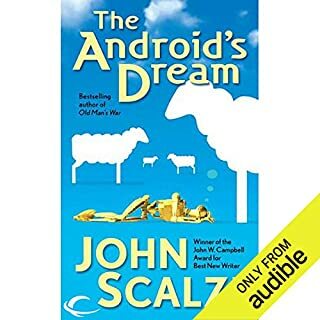 He is the perfect match to John Scalzi's cleverly written comedic action-adventure. This is the kind of book that plays in your brain like a movie - I could easily see this being turned into a script and put on the big screen. The story moves fast and the characters are easy to like - snarky, intelligent, and just plain fun. I really like this lighter version of sci-fi that doesn't require one to have a degree from MIT to follow - I'm sure it breaks a million scientific laws but to me it sounds all perfectly plausible and gets me excited for a future where I could have a monster sidekick to pal around with and to eat annoying people for me. This one is Spaceballs on crack - enjoy! 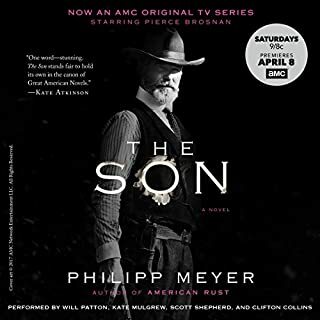 I went into this one craving a historical epic - a tale of the American west with cowboys and native Americans; the struggles and hard-won victories that took place on the fringes of civilized life. 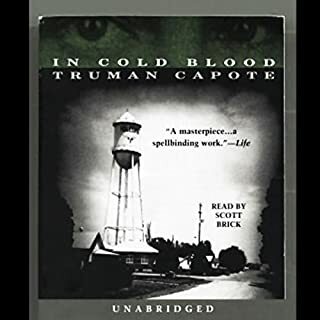 I was not disappointed - this book gave me all of that and added in a level of brutality and harsh humanity I wasn't expecting. The first chapters were difficult to listen to, in that the suffering of children always seems to get to me more than anything else. The disjointed way the chapters are laid out - each being entries in the diaries of various characters scattered around during completely different decades - made it hard to follow. I think hearing 3 or 4 chapters in a row from the same person might have been better for me. It took over half the book to figure out how some of them were related to each other and there seemed to be so many holes that never really get filled in at the end. That being said, I did find myself looking forward to listening and ended up enjoying it overall. I would recommend this to anyone looking for an old-westy kind of story but keep in mind that you will hear some pretty vicious stuff about the way people treated each other back when America was still becoming a country. And if you are prone to being upset about the portrayal of white people, native Americans, or Mexican people back in the 1800's to early 1900's then be forewarned that you could find this book controversial.